From fun runs and bike races to music festivals and football matches. Bagpipers provide the practical benefits of needing no music stands, no amplification and no electricity which makes them playable in any place, and I’ve tested it! Motivating the entrants in the Point to Pinacle. 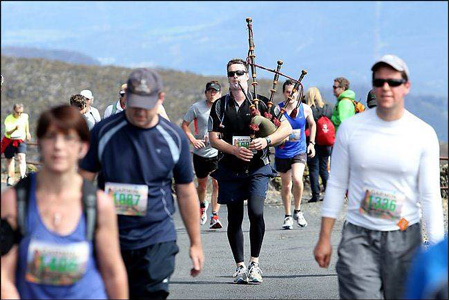 As a keen mountaineer, the bagpipes come with me, too. 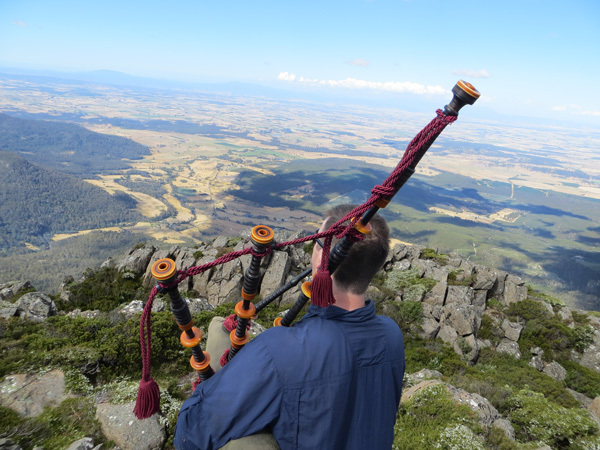 I’ve stood atop some of Tasmania’s grandest peaks: Cradle Mountain, Frenchmans Cap and on top of Tasmania at the summit of Mt Ossa and enjoyed piping to some of the best views in the World. Piping at the very top of Drys Bluff in Tasmania.